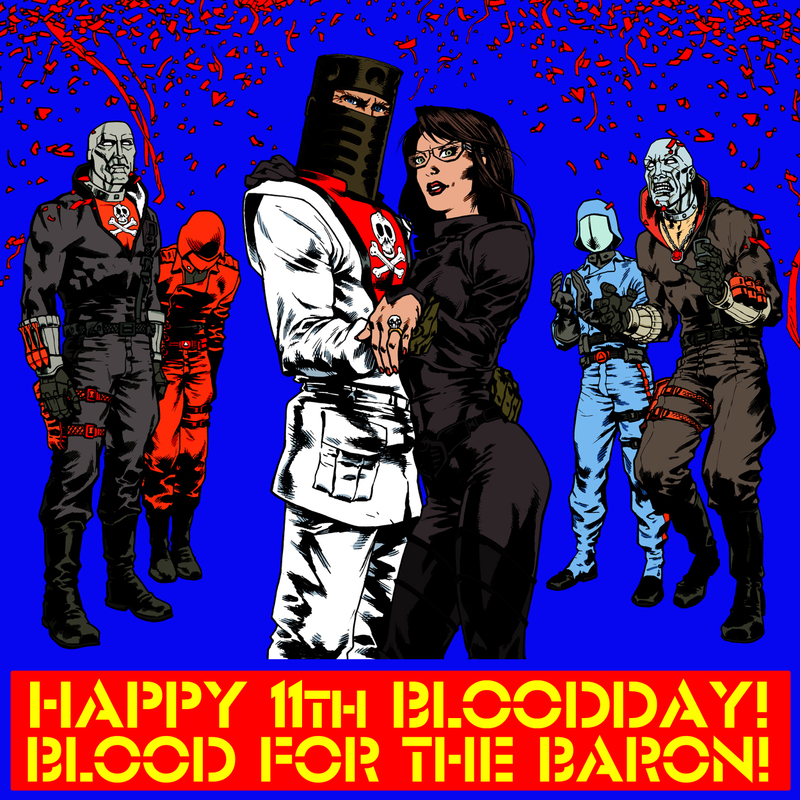 Happy BloodDay!- BLOOD FOR THE BARON!!! I had hoped to update the forum software in time for the event, but after the 2012 debacle think it's best I wait for tech support to do it for me! I'm gonna be spending the day reshuffling a few of the archives and updating all of the submissions from the past year, please bear with me if the odd link doesn't work, it should all be done by midnight. Still we can't let the occasion go completely unmarked, so I think it's time I revealed the cover art to the forthcoming BFTB Action Force Palitoy Collectors' Guide, drawn by the fantastic Alejandro Cabral! Happy birthday everyone! 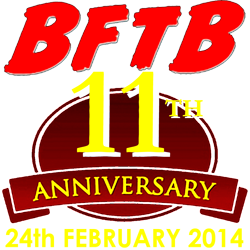 Well done on 11 years!! Seems a fine reason to spend the day after work digging through the archives.